It's generally known I love to read. I usually read several books a week, but lately I just haven't been able to stick with a book. I don't know what's going on, but everything's boring me. Instead of reading at night, I've started watching YouTube videos in my downtime. Videos about organising and homeschooling are my main-stay and this one by Jordan Page recently inspired me to take action. Jordan and her husband plan out their whole year in advance - putting dates into their calendars for everything they know in advance. I'm usually caught by surprise when public holidays arrive and wish I had organised something special for the long weekend, so this week I took a leaf out of Jordan's book and put as many dates into my phone calendar as possible. Birthdays, anniversaries, public holidays, school terms, kids' activities... they're all in there and I've set the annual dates to repeat so I won't ever have to set them again. I'm sure some of you already do this, and I usually do diary some dates, but this is the first time I've tried to put EVERYTHING in. I even went one step further and scouted out free activities for families around Auckland using the Auckland For Kids website a friend recently told me about, putting those into my calendar too. Theoretically, we should always have something fun and free to do on the weekend now, if we want to. Some weekends we just want to blob, and that's okay. Our kids are only allowed screen time on the weekend, so they are more than happy to stay home playing Minecraft, but I'm keen to have cool excursions available for them so they don't spend their entire weekends fixed to a screen. 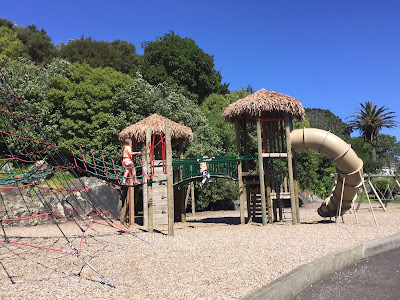 As well as listing events, the Auckland For Kids website also has a list of top ten playgrounds in Auckland, so yesterday I took the kids to Tui Glen, which is the top rated playground. It was beautiful and loads of fun, with enormous climbing structures, slides and a double flying fox which meant the kids could race against each other. It was a blustery day, so we mostly had the park to ourselves, which I've heard is rare. Cornwall Park - Set at the base of One Tree Hill under lots of old growth trees so there's plenty of shade, this playground has a miniature train, things to climb, a slide, a flying fox, swings and more. 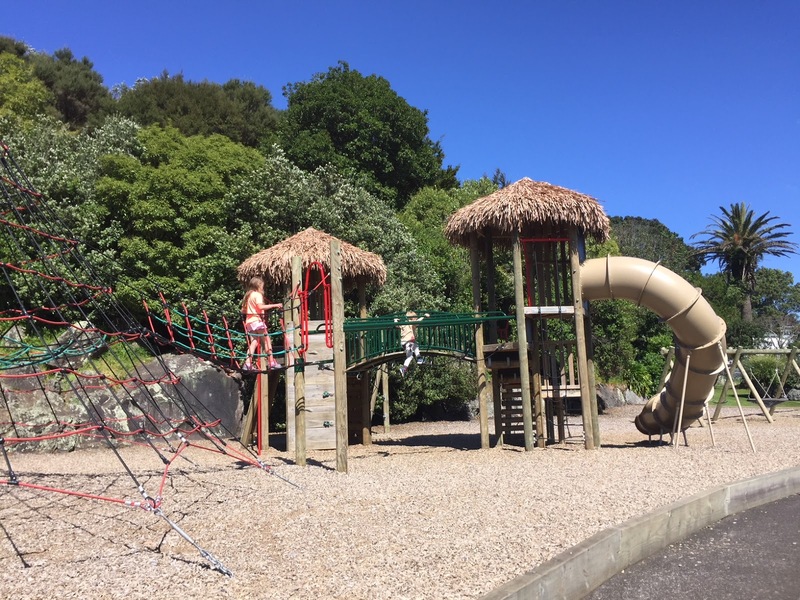 Mt Eden / Maungawhau on Normanby Road - This playground has a little train you can push the kids around on, a flying fox, a massive climbing structure, swings, slides and a see-saw, mostly all built with natural materials and situated at the base of the mountain so there are also mountain rocks to climb or build huts on. 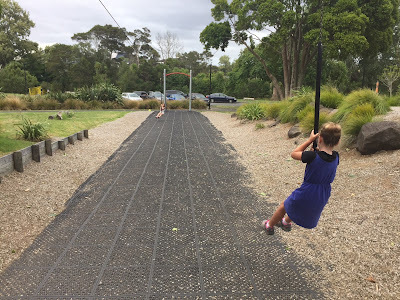 Onepoto Domain - Something for all ages with a toddler playground, a big kids' playground, bike/skooter tracks with ramps and roundabouts, a flying fox, climbing frames, slides, swings. All set in a beautiful, natural setting and easy to get to just off the motorway. 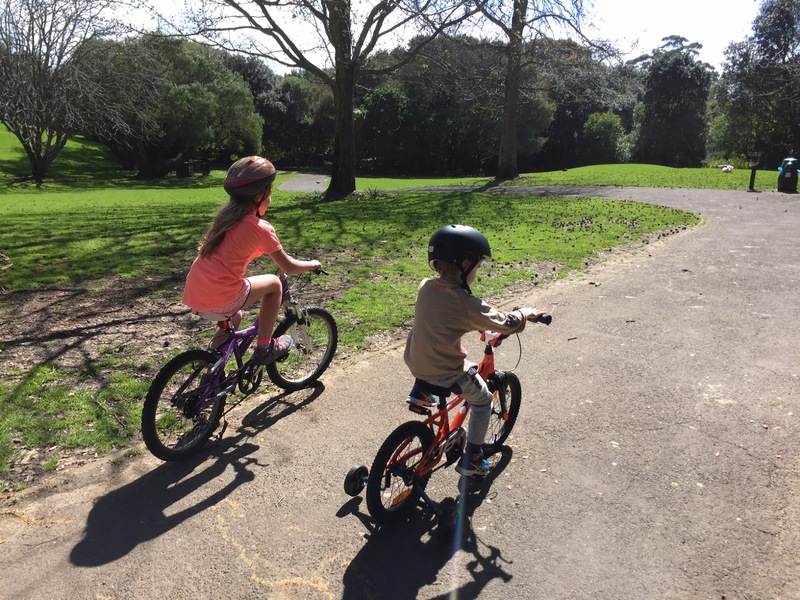 Western Springs - We love biking around the lake, going up and down over bridges and cycling past the swans, geese and ducks. 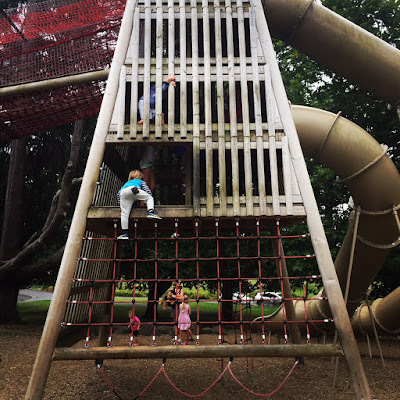 We always stop for a play on the massive playground too, and if the kids can twist my arm, buy an ice cream from the Zoo ice cream shop that backs onto the park. What are your favourite free activities to do with kids?